Located just ten minutes south of Minneapolis–St. 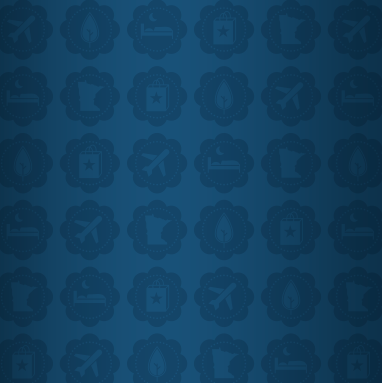 Paul and MSP Airport, the city of Bloomington, MN, is right in the middle of Twin Cities action. It’s home to the iconic Mall of America® and over 40 hotels within the city limits. But there’s more to it than just that. Click around to learn more about all there is to see and do in the city of Bloomington. 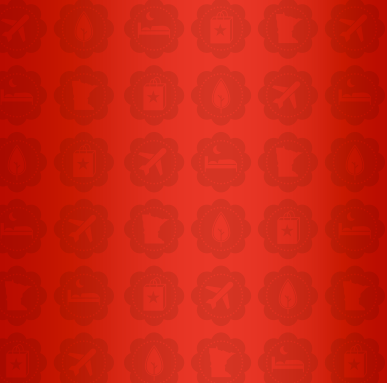 Download Bloomington's Map with location of hotels near MSP Airport and Mall of America. Early pioneers who moved to the Bloomington area in 1851 named their new settlement after their hometown: Bloomington, Illinois. The name, ironically enough, means flowering field. Nearly a third of Bloomington’s 39 square miles is comprised of reserved park land, including the Minnesota Valley wetlands and Hyland Lake Park Reserve. Bloomington celebrated its 150th anniversary in 2008. The state of Minnesota, along with the city of Bloomington, was officially recognized in 1858. The cities of Bloomington and Minneapolis are the farthest north latitude cities to ever host a World Series game. The Mall of America® is located on the former site of the Metropolitan Stadium, home of the Minnesota Twins and Vikings until 1982 when the Humphrey Metrodome opened in Minneapolis. Mall of America is big enough to hold 32 Boeing 747s. If a shopper spent 10 minutes browsing at every store, it would take them more than 86 hours to complete their visit to Mall of America. Bloomington is the 5th largest city in Minnesota, with a population of 86,000. Thanks to the Mall of America, several large company headquarters like International Dairy Queen, Toro, Ceridian, HeathPartners, Best Buy, and a booming hospitality network, the city of Bloomington has more jobs per capita than either St. Paul or Minneapolis. Land of 10,000 lakes: Well, actually there are 11,842 lakes in Minnesota larger than ten acres. Lake Superior is the largest freshwater lake in the world. Minnesota boasts 90,000 miles of lake and river shoreline, more shoreline than California, Florida and Hawaii combined. The Headwaters of the Mississippi River is located in Itasca State Park. 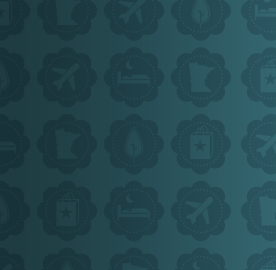 Minnesota's economy consistently ranks as one of the nation’s strongest and best. Famous firms with headquarters in Minnesota include Best Buy, Medtronic, Carlson Companies, Target Corporation, SuperValu, 3M and more. The metro area boasts an astonishing 929 lakes. Minneapolis alone has over 170 parks. Minnesota has nearly 475 golf courses and adds more each year. The Twin Cities are recognized nationally as a cultural center, with a strong arts community in everything from music and literature to dance and visual arts. There are nearly 400 professional and community theaters statewide, with about half of them in the Twin Cities—which has more theater seats per capita than any other city outside New York. The history of Bloomington, MN is as rich and interesting as the community itself. According to the city’s historical society the area was first established in 1818 by settlers from Kentucky, Tennessee, Virginia and the Carolinas. They were so impressed with all the lush, green life that surrounded them that they dubbed the area Blooming Grove. The settlement was later incorporated as a city in 1831 and boasted a population of 150. The population continued to grow from Minnesota’s 1858 admission to statehood, through WWI and into the 1950s. After WWII, the development of low-cost housing, the completion of Interstates 35W and 494 and the relocation of many large businesses to the Bloomington area sparked major growth and expansion. In the 1960s, another boost came from the Minnesota Twins and Vikings who both played their home games in Bloomington’s Metropolitan Stadium. Sporting events brought traffic and revenue to the city, until the teams were relocated to the Metrodome in 1982. The old “Met Stadium” was transformed into an even bigger draw – the Mall of America®. Today, Mall of America and the hospitality industry are the largest private employers in Bloomington. Since its founding Bloomington has thrived, emerging as a dynamic urban township that rivals nearby Minneapolis and St. Paul as a major Twin Cities retail and hospitality center. The city has grown leaps and bounds from where Bloomington, Minnesota’s history began and now has a population of over 86,000. As its past attests, Bloomington, Minnesota’s history of continual development has helped to foster this beautiful city into the thriving hospitality hub it is today. With a beautiful location on the banks of the Minnesota River, the city of Bloomington has much to offer travelers. Not only is it home to the world-famous Mall of America®, but this city of 85,000 also houses the stunning Minnesota Valley National Wildlife Refuge, an extensive system of hiking and biking trails and much more. Twin Cities visitors also enjoy Bloomington’s many travel conveniences, including its central location, proximity to the airport, and easy freeway access to Interstates 35W and 494. In addition, Bloomington offers free parking, free hotel shuttles to the airport and Mall of America, and the Hiawatha light rail line, which runs from the Mall of America, to Minneapolis-St. Paul International Airport and downtown Minneapolis. The city of Bloomington’s #1 attraction by far, is Mall of America, the largest shopping center in the United States, welcoming over 40 million visitors annually. This shopping mecca boasts 2.5 million square feet of retail space, over 500 stores and countless entertainment options that range from nightclubs to the Nickelodeon Universe® theme park to a 14-screen cinema. Another popular Bloomington destination is the Minnesota Valley National Wildlife Refuge, spanning 14,000 acres, with miles of hiking and biking trails, prime bird-watching opportunities, and an extensive visitors center. With all these great attractions, fine restaurants, and convenient location, it’s easy to see why the city of Bloomington is home to more hotels than Minneapolis and St. Paul combined - over 40 total, ranging from luxury to economy to suit families, tourist groups and business travelers alike. Bloomington weather is a treat year round with mild springs, warm summers, crisp, cool falls and chilly winters. Watch the leaves change and fall, feel the air grow cooler, wake up to a white Christmas then enjoy the fruits of spring and summer - Bloomington, MN enjoys four well-defined seasons each year. Although winters are quite cold (January averages a high of 22° Fahrenheit and a low of 4° Fahrenheit), summers are never oppressive. While the Southeast and Southwest are battling temperatures in the 90s and 100s, Bloomington, MN's weather offers warm days with an average high of 83°. Spring and fall are generally temperate, with average highs of 58° and 59°, respectively. A great place to visit any time of the year, Bloomington features events and activities ideally suited to both frosty winter days and balmy summer afternoons. Located across the street from IKEA and MOA®. 30% savings at six top attractions.